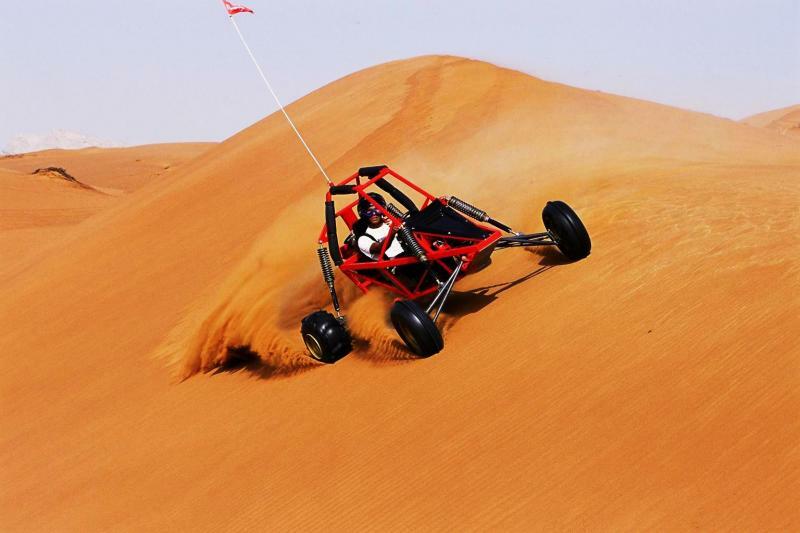 Experience Sand Dune Buggy Dubai Desert Safari Adventure Tour in the sand dunes around Dubai. 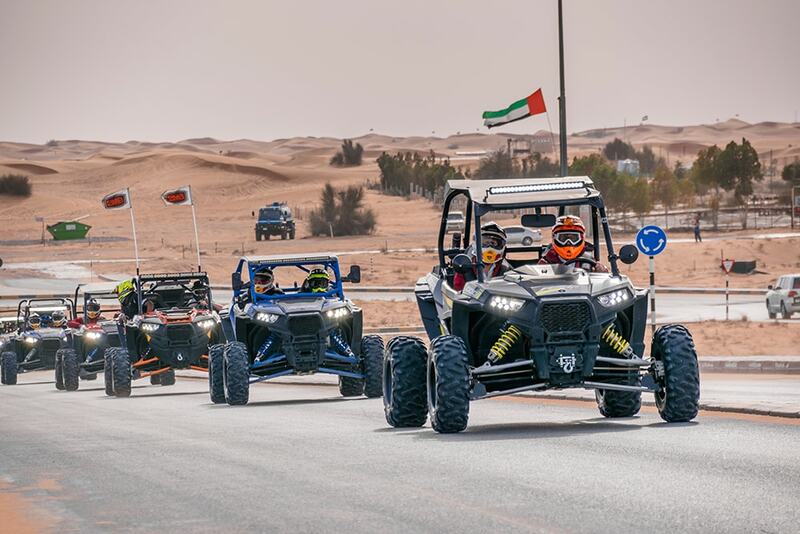 Dune Buggy Dubai Safaris offers a new dimension to off-road Dubai sands exploration. Enjoy this unique guided tour riding at a comfortable buggy followed by a refreshment break and set off again into the sand. 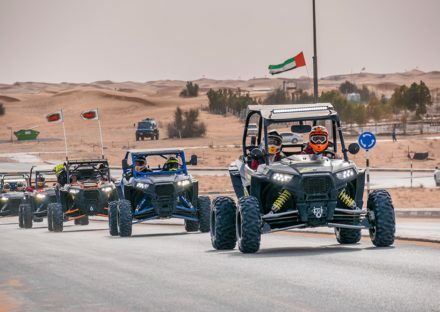 You will ride one of the twin-seater, 800 cc buggies exploring the region’s majestic sand dunes, exploring sand peaks and valleys in a mesmerizing scenery. A tour guide will guide you through the best and safe routes while you take a stop after exhausting and get some refreshments. 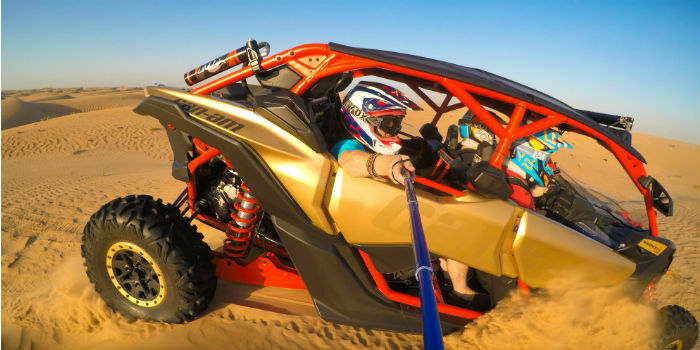 To make sure your safety and comfort, each dune buggy is equipped with a full roll cage, bucket seats, and a full safety harness. 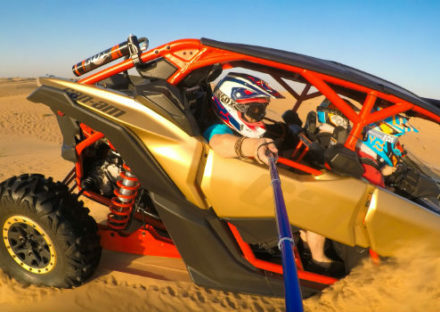 Drive your buggy alone or with your partner for more amusement. To enjoy more, you may book your tour with a bbq dinner at the end on additional charges. 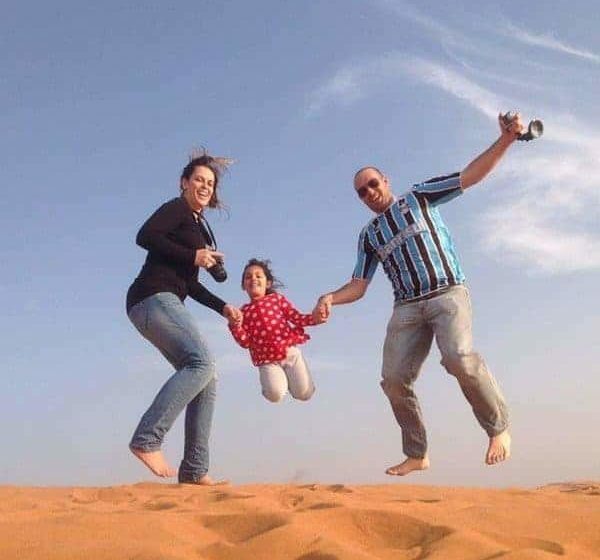 Free pick-up and drop-off from anywhere in Dubai, Sharjah and, Ajman. 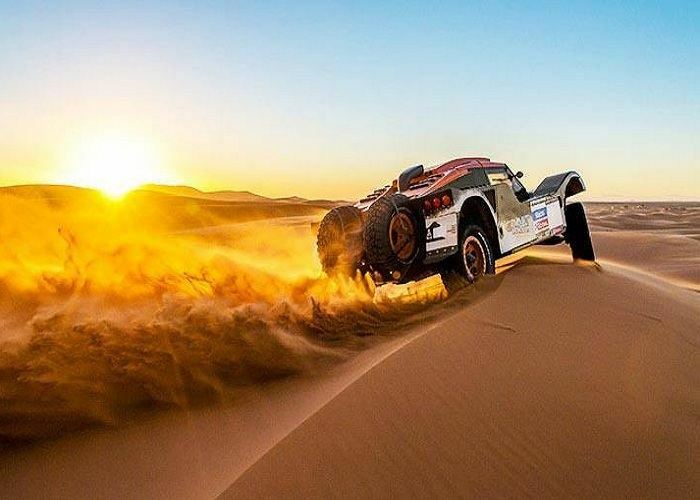 Basic knowledge of driving needed. 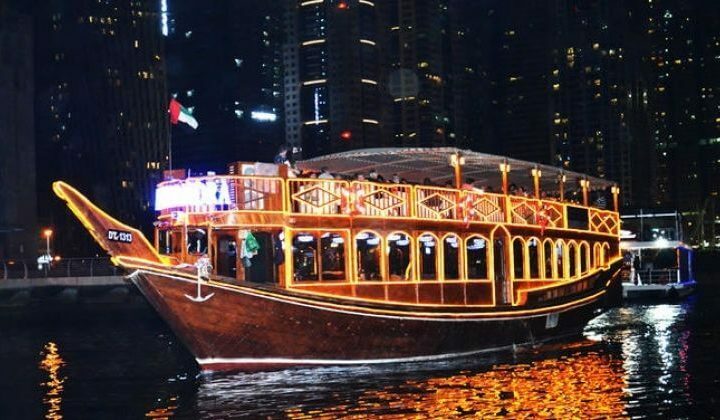 The afternoon tour with a BBQ dinner lasts for approximately 6 hours.